An Inside Look at the Huatulco Wine Festival with Secrets Resorts & Spas! Greetings from Secrets® Resorts & Spas and happy Friday to our guests and fans! Today we’re excited to give you an inside look from the 2017 Huatulco Wine Festival hosted by Secrets Huatulco Resort & Spa! With world-class sommeliers, delicious food and wine tastings, our guests were treated to a weekend of learning and luxury. Keep reading to see some of our favorite moments from this annual event! Cheers to the Huatulco Wine Festival at Secrets Huatulco Resort & Spa! Wine and Food Festival at Secrets Maroma Beach and Secrets The Vine! Happy #FoodieFriday, Secrets® Resorts & Spas fans! We’re delighted to share photos with you from this year’s Wine and Food Festival events in Riviera Cancun from Secrets Maroma Beach Riviera Cancun, and Secrets The Vine Cancun! Keep reading to see some amazing photos from the Mexican Star Chefs: Gourmet Taco Competition at Secrets Maroma Beach, and the Future of Cuisine Conference and Tribute to New York Dinner at Secrets The Vine Cancun! 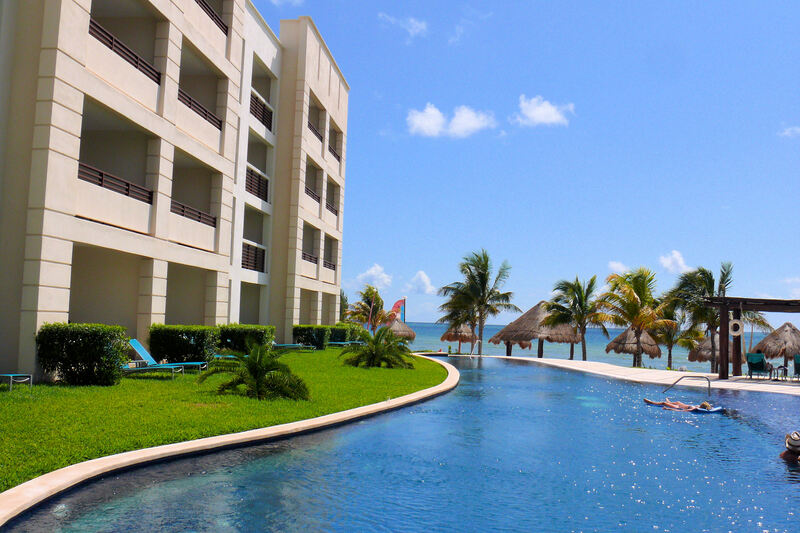 By tomorrow this time, I will be sitting poolside at Secrets Silversands Riviera Cancun with a virgin strawberry daiquiri in hand. At 6.5 months pregnant, I couldn’t be more excited to travel to the beautiful Riviera Maya for 3 nights and 4 days of pure relaxation with my husband. My husband and I became the proud parents of a little boy 17 months ago. It was love at first sight and our lives were forever changed. Now in just 3 more months, we will be welcoming our second son into our family. With 2 boys under 2, it’s safe to say that our lives are going to get just a little bit crazy! While planning for the arrival for our second son, we decided to make it a priority to take time out as a couple to relax, reconnect and rekindle that romance that can sometimes get lost in the shuffle of becoming a parent. A “babymoon” seemed like the perfect solution. Convenient destination. We wanted a destination that was quick and easy to get to from Philadelphia. PHL -> CUN = 3 hours. Perfect. Adults-only resort. An adults-only resort was a must since this vacation will likely be our last one without the kiddos for a loooooong time! Check. Pool vs. beach. Though we love to see the ocean and walk along the sand, we wanted a resort with an over the top pool. If you’ve never seen the pools at Secrets Silversands, they are BEYOND gorgeous. Really good food. At 6.5 months pregnant, food is one of the few things I actually get to indulge in, so I wanted to make sure that the meals on our vacation would be extra delicious. With 8 a la carte restaurants and 24/7 room service included as part of the Unlimited-Luxury® privileges, not to mention my favorite dessert of all time, the Aztec Soufflé, Secrets Silversands was a no brainer for me once again. World-class spa. What better way to relax on our “babymoon” than indulging in a spa treatment? The Secrets Spa by Pevonia stretches 12,000 sq. feet with 17 treatment rooms and a complete hydrotherapy circuit. The spa menu includes any and every spa treatment we could possibly desire. Not only did Secret Silversands meet all of our criteria for our “babymoon”, but I just love the modern feel and clean lines of the resort, especially as it contrasts with the warm and friendly staff members who take such good care of each and every one of their guests. I’m looking forward to indulging in the amenities offered in the Babymoon Package at Secrets Silversands, which includes a manicure for mom, breakfast in bed, special turndown service with rose petals and chocolate covered strawberries and more. You can bet that I will also be hitting up the spa for a prenatal massage and will be taking advantage of the 24/7 room service for late-night cravings. Stayed tuned for details after our trip. I’ll be sure to report back on our “babymoon” experience at Secrets Silversands! Tara Berger is responsible for all things related to Social Media at AMResorts. She is the voice behind many of the blogs, tweets and updates you will find across the social media sites for Zoëtry Wellness & Spa Resorts and Secrets, Dreams, Now and Suncape Resorts & Spas. She is a wife and a mother to a one year old son. Her typical day consists of running between daycare and work, managing to feed the family and somehow pulling herself together to do it again the next day. When she’s not working or sitting through Barney for the 1,000th time with her son, she enjoys traveling with her family, and considers herself fortunate to work in an industry that allows this happen as often as it does.